All small ball 4 wall divisions use the USHA Red 21 except pro singles and doubles (WPH R48Pro Ball); All 4 wall big ball divisions use the Red Penn Big Ball. 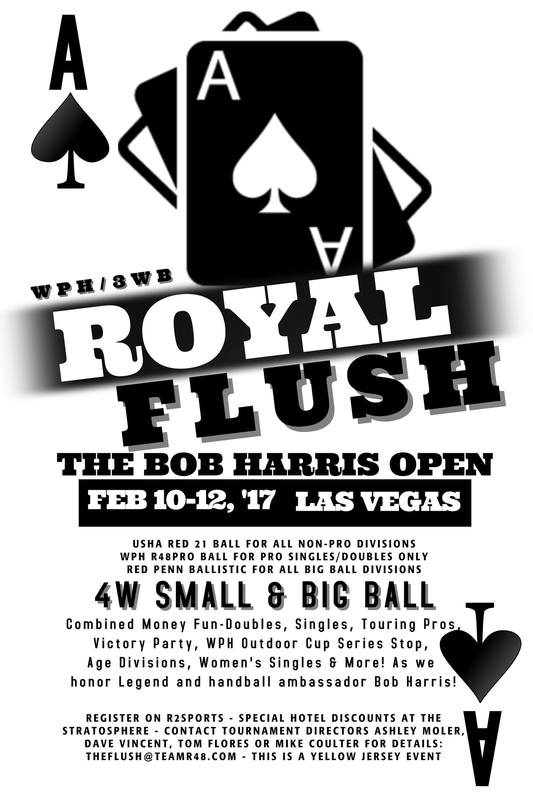 WPH Outdoor will count the men’s big ball 4 wall singles toward the 2017 Outdoor Cup Series. Bring your wallet for Fun Money Doubles, Victory Party Celebration and More! theflush@teamr48.com. Special Hotel Rates: Stratosphere Hotel Casino Tower – Thur $30, Fri $65, Sat $98, Sun $52 (Plus Tax & Fees) **Special Hotel Discount Code Coming Soon! 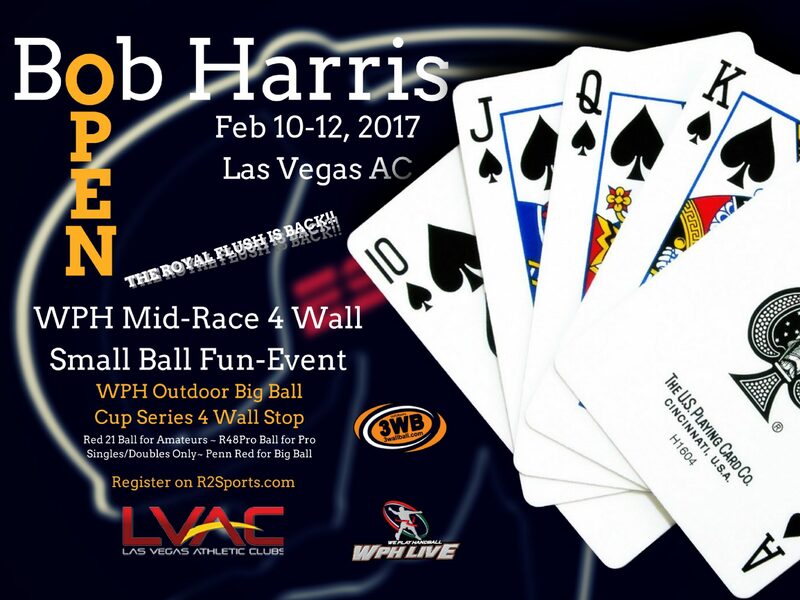 Come celebrate Bob Harris Weekend in Sin City with the Local Vegas Handball Club, World Players of Handball-Outdoor, 3WallBall & Race4Eight Mid-Season Handball Squad!! !